Terese Agnew's work has evolved from sculpture to densely embroidered quilts by a process she calls “drawing with thread”. Her themes are environmental and social. Her most notable quilt, Portrait of a Textile Worker, is constructed of thousands of clothing labels stitched together, contributed by hundreds of sympathetic individuals worldwide. The resulting image is about the exploitation and abuse of laborers, the by-products of globalization and the insatiable American appetite for goods. 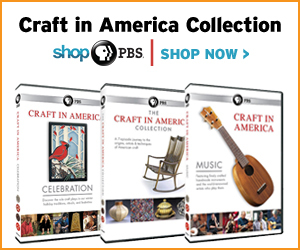 Randall Darwall is a master colorist and weaver whose hallmark is an extraordinarily refined aesthetic, is one of contemporary craft’s finest weavers, bringing an intelligence and liveliness to his work. He sees his goal as “not just making patterns, but giving people something to think about.” For Darwall, dyeORing and weaving is a way to set up a conversation between colors; when the cloth is worn, it becomes kinetic. 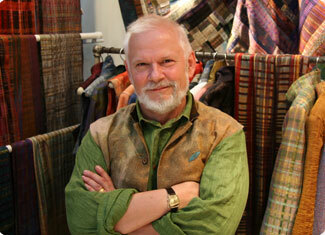 His approaching 25th anniversary with life‐partner and designer Brian Murphy is testament to a joyous, enduring relationship that colors his work. 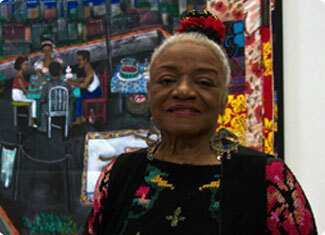 Internationally celebrated artist, teacher and author, Faith Ringgold is best known for her painted story quilts to bring the proud history of African-American masters to a new generation. 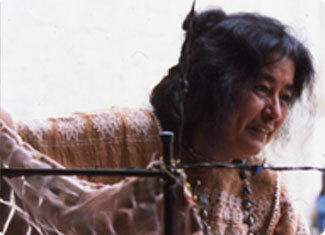 Her story is about a "veritable lifetime in a struggle to become an artist." 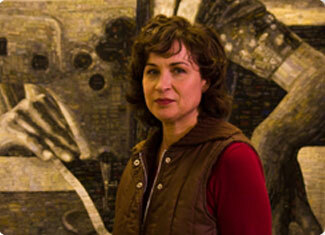 Her famous quilt, Tar Beach resides at the Solomon R. Guggenheim Museum in New York. Ringgold also works in many other media, such as a notable mosaic for the New York subway system at 125th Street in Harlem. Consuelo Jimenez Underwood incorporates weaving, sewing, painting, and appliqué to produce a proud political statement, representing her own history as a migrant agricultural worker, signifying her hybrid culture as well as the arbitrary lines that divide. Artistic expression is deeply tied to traditional Huichol weaving, a heritage she incorporates into her large mixed media textiles. Borders and barriers are the vocabulary she uses to describe and celebrate the lives of migrant workers and indigenous people who are marginalized and downtrodden.